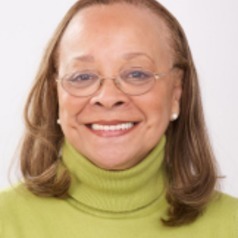 Dr. Alma J. Carten earned her Bachelor of Arts degree from Ohio University, her Master of Social Work degree from the Whitney M. Young Jr. School of Social Work, and her Doctorate in Social Welfare from Hunter College School of Social Work of the City University of New York. At NYU, Dr. Carten is former chair of the social welfare programs and policies area, and teaches in the social welfare policies and human behavior curricula sequences in the MSW program and social policy analysis in the doctoral program. Dr. Carten is also a consultant reviewer for the US Department of Juvenile Justice, Children’s Bureau of the Administration for Children and Families, helping to shape the national standards for child welfare outcomes. She has held a number of faculty appointments, including director and chair of the Westchester Social Work Education Consortium, and has taught at Hunter College School of Social Work and and the Behavioral Science Department at the New York City Policy Academy. Additionally, she was a member of the Administration for Children’s Services Commissioner’s Task Force on Minority Agencies. She served as president of the New York City Chapter of the National Association for Social Workers from 2000-2002. Dr. Carten has professional experience in the private and public sectors. She served on the United Way of New York City agency membership Review Panel, and is a board member and consultant for a number of New York City voluntary social welfare agencies, the Administration for Children and Families, and the Children's Bureau at the federal level. Her work in government includes director of the Office of Adolescent Services for the New York City Human Resources Administration with responsibility for policy development and the design and implementation of citywide services for pregnant and parenting teens, interim commissioner of the Child Welfare Administration, special advisor to the HRA commissioner/administrator during the Dinkins administration, and appointed member of the Mayor's Commission on the Foster Care of Children. She has conducted research and published on family preservation programs, maternal substance abuse, child survivors of the HIV/AIDS epidemic, independent living services for adolescents, dimensions of abuse and neglect among Caribbean families, and neighborhood-based services and mental health services and the African American community. Dr. Carten’s professional interests focus on child welfare, and the delivery of culturally competent services to children and families. She has conducted extensive research studying the Caribbean and African immigrant communities in the New York metropolitan area. She co-edited with Dr. James R. Dumpson, entitled Removing Risk from Children: Shifting the Paradigm, and a chapter titled "Family Preservation, Neighborhood Based Services," in Child Welfare Services: An Africentric Perspective, Everett & Leashore, co-editors. Her most recent publication “Reflections on the American Social Welfare State: The Collected Papers of James R. Dumpson,” is published by NASW Press, and she is primary editor of "Anti-Racist Strategies for Transforming Health and Human Service" in press with Oxford University Press.